Standing in a wet and windy Richmond parking lot, I am confronted by the future—and it looks compelling. 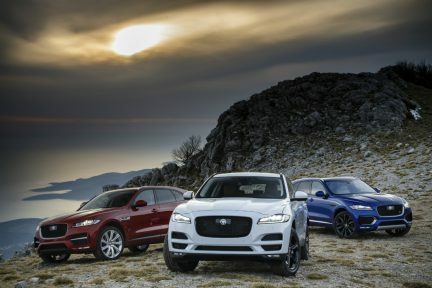 The future, in this particular case, is the new Jaguar I-Pace, the vanguard in a soon-to-arrive wave of luxury electric vehicles from makers like Audi and Mercedes-Benz, all aimed at challenging industry leader Tesla. 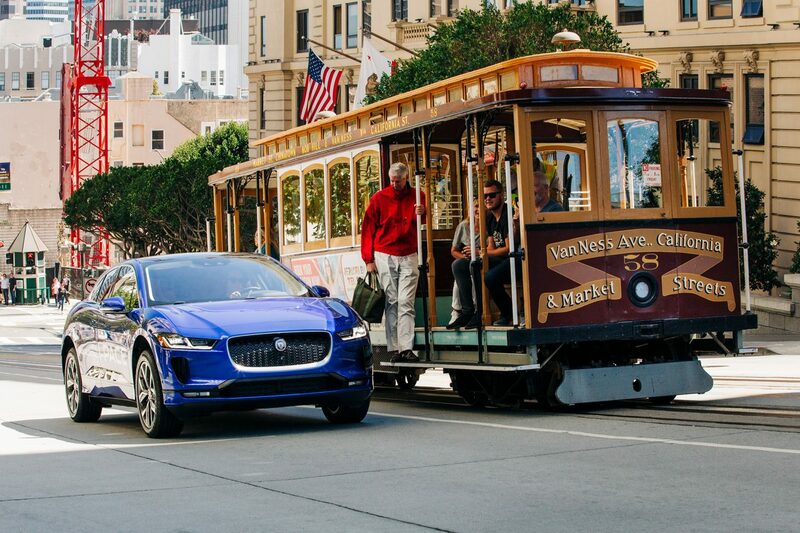 The I-Pace’s compelling looks are made possible thanks to its underpinnings: it was designed from the ground up to be electric, with an all-new aluminum-intensive “skateboard” platform that places the heavy battery below the floor and has an electric motor at each end, driving all four wheels. The compact electric motors allow the wheels to be pushed right to the corners of the vehicle, maximizing interior space and giving way to a uniquely handsome cab-forward profile. 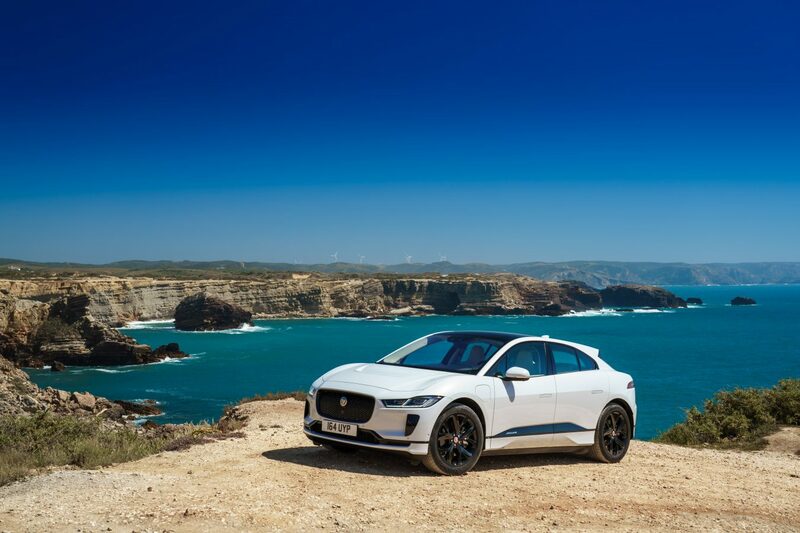 Jaguar designer Ian Callum penned the I-Pace’s lines, which feature a sculpted waist and traditional Jaguar grille. 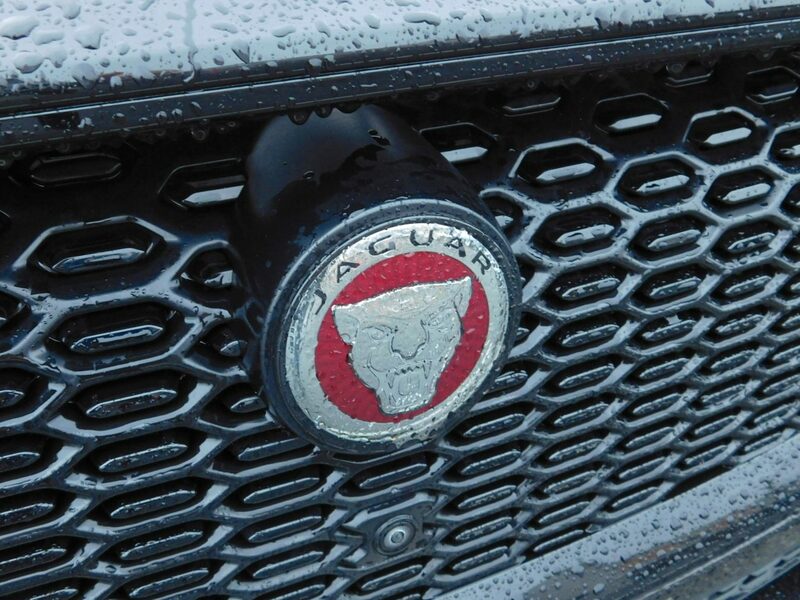 In this case, the grille isn’t needed to cool the engine, but rather it feeds air to a big hood scoop, which in turn shapes the air flowing over the car at speed. The I-Pace is rich with these sorts of functional details: the door handles retract flush with the body and the car lowers itself 40 millimetres toward the ground at speed, all in an effort to minimize aerodynamic drag and maximize energy efficiency. 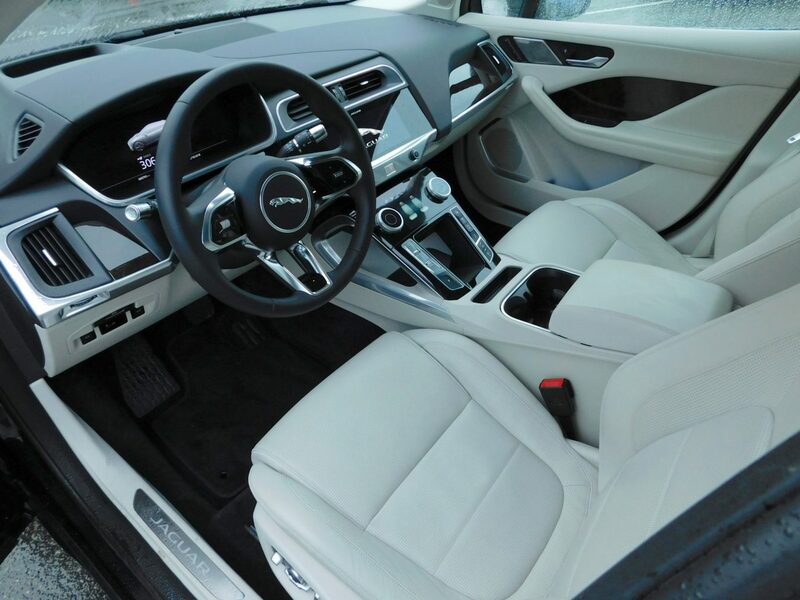 Inside, the car has a clean, airy, and thoroughly contemporary feel. 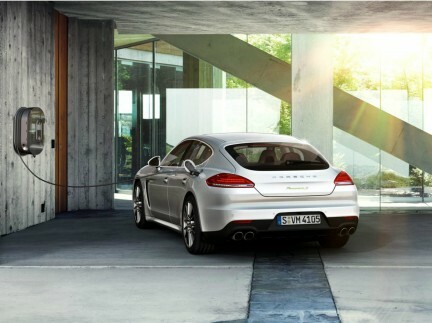 A huge UV-protected panoramic roof lets in plenty of light, and there’s ice-blue ambient lighting at night. 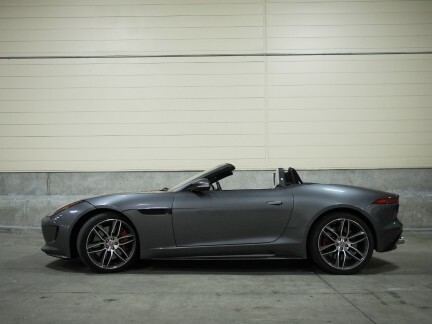 Nice touches include a floating centre stack, a push-button gearshift, and a high-end Meridian sound system. There’s room for five in leather-upholstered comfort, and even the rear seat has good headroom, although I need to duck a little when climbing into the back. Rear cargo space is more than adequate at 656 litres, and there’s an additional small trunk up front. 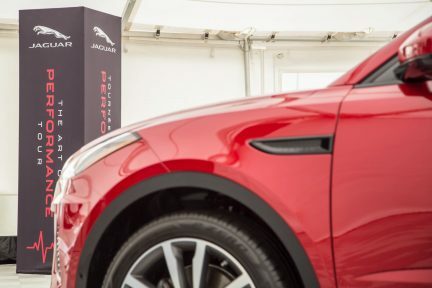 I was able to take the I-Pace for only the briefest of drives during the 2018 Jaguar Art of Performance Tour, but it was enough to confirm that dynamically-speaking, this is a proper Jaguar. The two electric motors are powered by a 90-kilowatt-per-hour lithium ion battery and generate a combined 395 horsepower and 512 pound-feet of torque. This allows the vehicle to sprint to 100 kilometres per hour in an astoundingly quick 4.8 seconds, all in near complete silence. Driving range is an impressive 377 kilometres, and a 100-kilowatt DC public charger can top up the I-Pace’s battery from empty to 80 per cent in as little as 45 minutes; recharging with a Level 2 home charger takes 12.9 hours from empty to 100. Thanks to the I-Pace’s low centre of gravity, its handling is quick, precise, and flat, rewarding the driver on twisty sections of road. Depending on preference, drivers can select settings to make the model either familiar-feeling like a regular automatic-equipped car (regenerative braking set to low and creep turned on) or more futuristic and efficient (regenerative brakes on high and creep turned off). With the latter settings, I can essentially drive the I-Pace one-footed, with the regenerative brakes scrubbing speed quite aggressively when I lift off the throttle. The day of one-pedal cars is coming. The I-Pace stands out as an emotionally-evocative luxury electric vehicle with excellent range, driving dynamics, and practicality. Welcome to the future. Keep driving through our Transportation section.